90% of business goals are uncontrollable. Make $5 million in ARR this year. Get 1,000 installs of our new app this month. Find 10 new customers this week. How do you think your team feels about uncontrollable goals? Now, our 7-figure business KingSumo uses “proactive metrics” to develop more controllable, effective goals. And it’s completely changed the morale and growth of our business. Today, in 10 minutes, I’m going to show you the types of business goals that are effective — and the types that aren’t. Take a look at the screenshot below from a company I know. Notice all the red for missed goals. Ouch. This is common in the tech industry. When five of your six teammates miss their goals, that’s not their fault — that’s poor planning by the business. But instead of adjusting how they approach their goals, most businesses will keep recycling the same goals… or panic they’ve been missing goals, and set more aggressive goals. When you miss your goals, or your employee morale is low, it’s important to take a step back. The problem with most business goals are they’re VERY uncontrollable. One of the worst decisions businesses make is setting a goal that team members can’t hit. In the example above, can you really control revenue? Or installs? You can control factors of revenue and installs, but controlling revenue is more difficult. Even if I succeed, it’s mostly dumb luck. Noah Kagan, the CEO of our parent company Sumo Group, taught me the power of proactive metrics when goalsetting. Proactive metrics focuses on what you can control — so you reach your goals easier, and keep your team members happy. For example, at Sumo Group we’re building a new product called SendFox. We have big aspirations, and our plan is to get 100 paying customers by end of year, 3,351 customers by June 2019. Notice how we don’t have any goals about revenue or installs! What are the most important factors to getting 100 customers by end of this year? What’s a realistic weekly goal for those factors? Who on our team can help us get there? Use this philosophy in your own business. 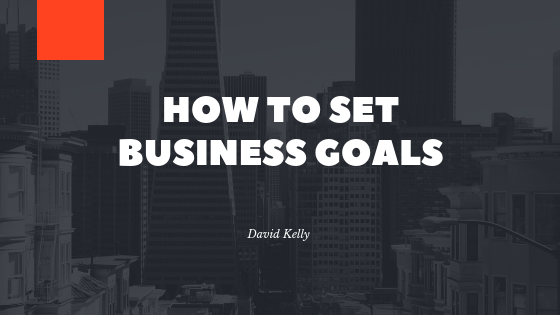 When you set business goals, be careful to focus your team on the factors that are more controllable. Your team will be happier, you’ll understand the “broken links” if you miss goals, and focusing on the controllable factors of success will build your business to the next level.